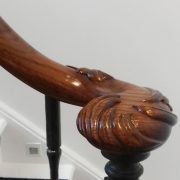 Complex CNC machining is undoubtedly the future of manufacturing timber handrails. Routers like ours can cut parts from 50mm long, to 5 metres long with a tolerance of less than 0.1mm, in a fraction of the time it can take a traditional craftsman to hand carve the same detail. 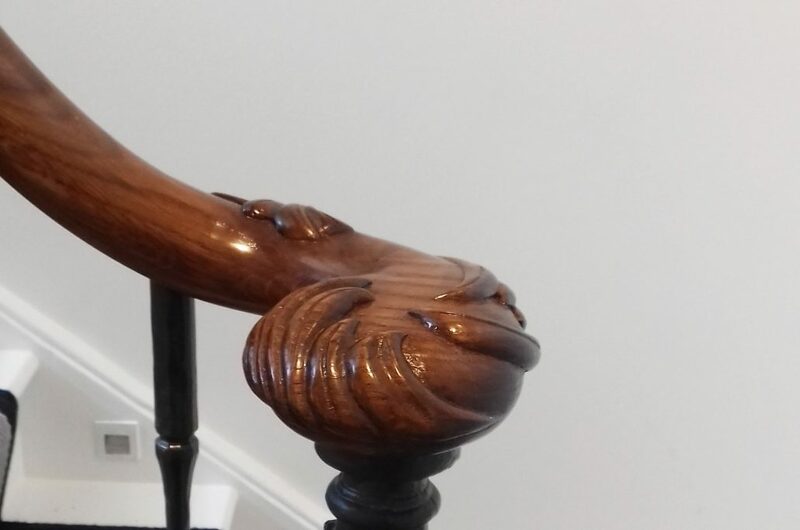 However, sometimes clients do insist on hand carving, especially heritage work in listed buildings, where ‘traditional’ techniques are used to create and refurbish integral parts of the building. In a residential project recently completed in Chelsea, London, our team manufactured over 25 metres of curved continuous handrail with numerous volutes, ramps and swan necks with our 5 axis machines. 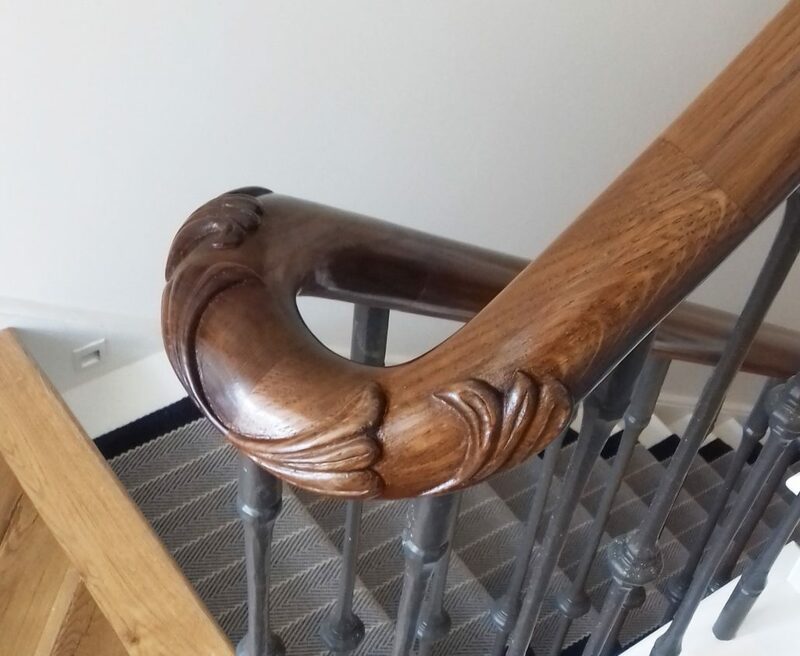 Then, our expert team took out their chisels and carved some organic details into the European Oak parts to make this a truly unique and one of a kind project.